If you're interested in teaching kids about tech and encouraging them to DIY, then there's this great little Indiegogo campaign going on for the next few weeks that you need to check out: "Young Makers: Community 3D Printer for Pop-up Demonstrations". 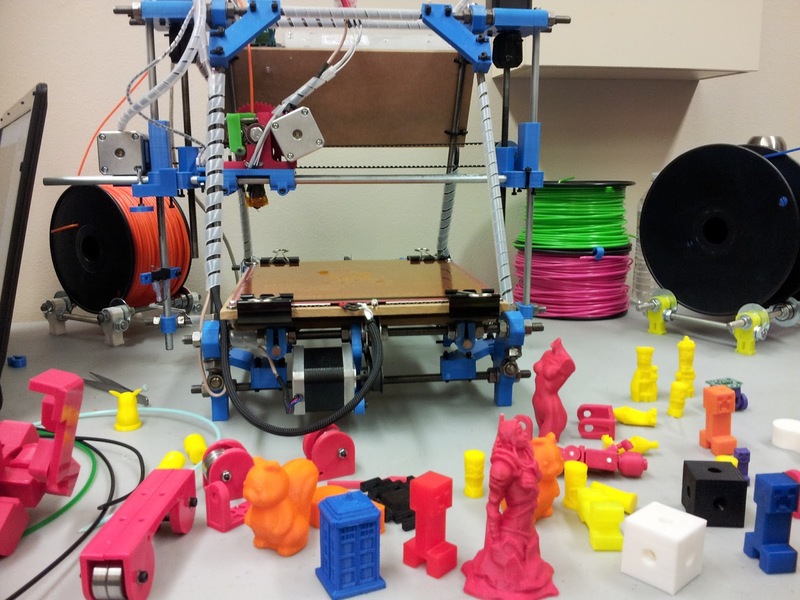 Started by a group of Ottawa makers and community-minded folks, the goal of this Indiegogo is to procure a 3D printer and related accessories to run a series of pop-up 3D demos for youth all over the city. become part of a supportive and welcoming community of 'makers' in Ottawa and around the world." Especially in disadvantaged communities. Where they may not have the opportunity to go to maker faires and learn about 3-D printing. And in turn, the exposure to tech and the opportunities it presents. What a fantastic idea. Now you might be thinking: really? 3D printers? Wouldn't that money be better spent on other things than 3D printers? Personally, I think this is a fantastic idea: by buying a single machine and shopping it around town to a variety for forums, the message of DIY, learning tech, seeing one's own potential for creativity and innovation has the potential to reach a large number of young people. And it can give them the opportunity to go hands-on with a piece of technology that they might not otherwise be exposed to. I wrote in March about the 3D Print-a-Thon at Artengine where I met a group of high school students who had won an innovation competition in their school, purchased a 3D printer with their winnings and kicked off Fabrika 3D, a design company that produced ingenious customizable iPhone cases. Someone took the time to show them the technology, spent the time to show them how to use it and suddenly they were entrepreneurs. It doesn't take much: when we invest in young people, the payback is significantly larger than the effort we put in. Always worth it. The Indiegogo campaign is open until August 3 and they only need $1,000 more to reach their goal. Even if you can't give a lot, the increments start at only $10. Definitely worth a look.